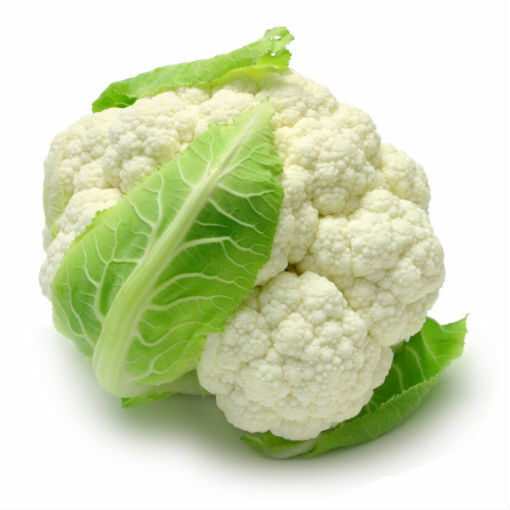 Cauliflower contains a ton of vitamin C and manganese, as well as carotenoids. This floret packs a punch in fighting free-radicals. The average daily recommendation for fiber exceeds 25 grams. Eat some cauliflower and youÃ¢â‚¬â„¢ll be contributing over 3 grams to your daily total, helping cleanse your digestive tract. Decrease chronic ailments such as atherosclerosis, a leading cause of heart attack and stroke. Cauliflower can help keep your blood flowing to essential organs of the body.